Our friend Bharat Sharma of Good Health All tells us about 8 healthy reasons to eat Cashews in this guest post. We like his articles to learn about the benefits of vegetables, fruit, and nuts. You will get good information about all the benefits they contain. He tells us about the pro and con of the fruits and vegetables. Like everything even fruit vegetables and nuts, we have to eat in moderation depending on our condition. Visit his website if you like to know about benefit and side effects. Read below about the healthy reasons to eat Cashews. Cashews are quite popular in the baking processes and are widely found in countries like India, Kenya, Sri Lanka, and Tanzania. Mostly made into a paste before mixing with the main dish, they add a sweet savory taste to it. While these have numerous uses including medicinal benefits, liquor preparation from the pulp, cashew oil for salad dressings and cooking, they are primarily used for day to day health benefits just like every other nut. Although there are several others, eight such broad health benefits of Cashews are mentioned in this article. Cashews are an excellent confectionary item used in cookies, sweets, smoothies, ice- cream and other delicacies. They are used as vegan cream owing to their fat rich characteristics. They serve as an excellent replacement to the heavy cream used in desserts and creamy foods. The Cashew cream is manufactured by soaking a few cashews overnight and forming a paste of it in a blending machine. This cream is indistinguishable from the dairy cream and possesses an unending list of health benefits. These are used to give awesome nut butter and salad dressings. Cashews have amazing skin and hair benefits. Skin Benefits– In addition to being rich in minerals like calcium, zinc, phosphorus, iron, and magnesium, these have loads of proteins and anti-oxidants such as selenium which give the skin an unyielding glow. Hair Benefits– Application of cashew oil on the scalp as well as hair along with consumption can be a really stimulating factor for the growth of healthy hair. Cashews activate production of melanin which ensures dark and enhanced hair color. Additionally, they are also used in providing a smooth and silky texture. When put in contrast with other nuts, cashews have a higher edge when it comes to the content of higher saturated fats. Other nuts such as almonds and walnuts are down to an amount to 6-8 percent. Nutrition values- An ounce of cashews consists of about 18 numbers of it which contain 155-163 calories. The same amount contains 4-5 grams of proteins, 10 gms of calcium, 3.5 grams of sodium, 0.3 mile-grams of vitamin E and 0.9 grams of Vitamin K.
Protein benefits- The micro-fibers which are essential in the metabolism process that is faster digestion to help with an increased appetite for the in-between meals can help in tissue building and henceforth muscle building. Copper benefits- Copper aids through the various biochemical processes happening throughout the body as well as acts as an antioxidant at times. It is essential for metabolism, collagen synthesis, and energy creation. Antioxidants- Vitamin E and K are great anti-oxidants sources which, as the name suggests are used to counteract the oxidants. These neutralize the free radicals which can cause cellular damages. Dietary benefits- Dietary fibers required by our body are oleic acid and palmitic acid both of which are important constituents of cashews. Since these fibers are not produced per se by our body they need to be taken from these outer sources. Since during pregnancy, there are restrictions on the foods to be taken in cashews are proven safe food for consumption which is also vital in protein, minerals, and vitamins content. These can be cultivated without using pesticides and thus are essential in the process of baby growth. 30 gms of cashews are recommended for daily intake during the gestation course. But above all that, a test for allergy and other harmful effects shall be conducted. Eye Benefits– An antioxidant produced by cashews is readily absorbed by our retina and is thus useful in protecting the eye from various infections caused by pollution. They also protect the eye from UV rays, developing cataract and getting blind in the elderly. Bones and Oral Health Benefits– Cashews are rich in Phosphorus which helps in taking care of the teeth strength. They also contain the acids that prevent the tooth from decaying and aid the abscessed teeth. Immunity Boost- Zinc is important in producing the immunity cells as well as immune system regulator which is provided by the cashews. 8-11 mg of Zinc is required for the same purpose. RBC formation– Since they are rich in copper as mentioned above they help information of RBCs which guide through the process of iron metabolism. Blood pressure regulation– Due to less sodium and higher phosphorus content, cashews help to maintain the blood pressure under check. Eating these nuts can aid you in not going nuts. Although it seems too good to be true when it is said that cashews can help maneuver through anxiety and depression but it is also true that the right food can help in keeping the mind right. Cashews help in producing serotonin, the growth of which is largely inhibited during the mental illness episodes. They are also rich in Omega-3 fatty acids and magnesium which have an impact on maintaining a stable mood and mental conditions. Since Cashews offer low unhealthy cholesterol content and high heart-healthy fatty acids they can amount in reducing the heart-related disease to a large extent. People who eat cashews 1-4 times a week have been surveyed to have 11 percent less risk to these heart diseases. Cancer-related benefits– Chemopreventive agents and anti-oxidants such as cardinals and anacardic acids are effective foods for people going under colon chemotherapy. Migraine benefits– Healthy brain functions due to ample blood circulation and phytosterols production reduce the frequency and duration of a migraine. Diabetes benefits– They are helpful in regulating the blood sugar level and hence insulin. Gallstones prevention– Gallstones are formed due to an abundance of cholesterol which is controlled to a high level due to cashews. Blood-related diseases-RBCs produced in abundance due to copper enriched cashews help in eliminating diseases like Anaemia and other diseases caused due to blood deficiency. 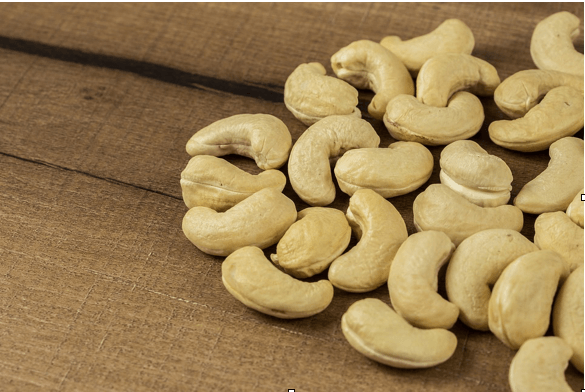 We hope you liked to read about the 8 healthy reasons to eat Cashews. To find more information about the benefits of vegetables, fruits, and nuts or the side effects, visit the website Good Health All. See also Are You Ready for Nutritious Vegan Cashew Recipes?